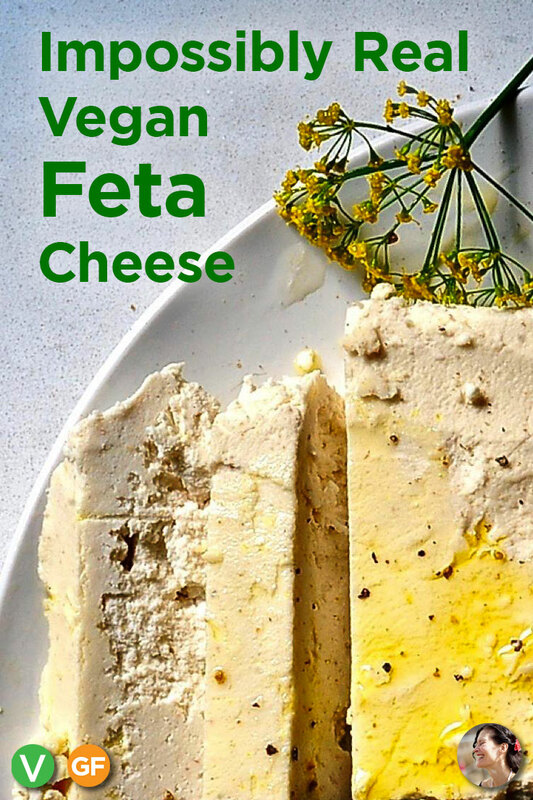 Vegan Feta Cheese Recipe: an almond based vegan feta cheese that is sliceable and spreadable. 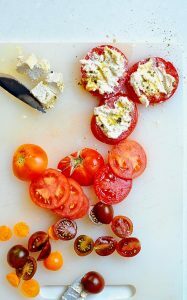 Salty, tangy, rich almond feta, that has enough body to be cubed and tossed on a salad but is creamy enough to be smeared across a slice of toasted bread. Is lactic acid vegan and do I have to have it? Yes lactic acid can be vegan. It is optional and your cheese will still be delicious without it. It does up the tangy sour feta-y flavor if you do end up using it. Here is the lactic acid I use. 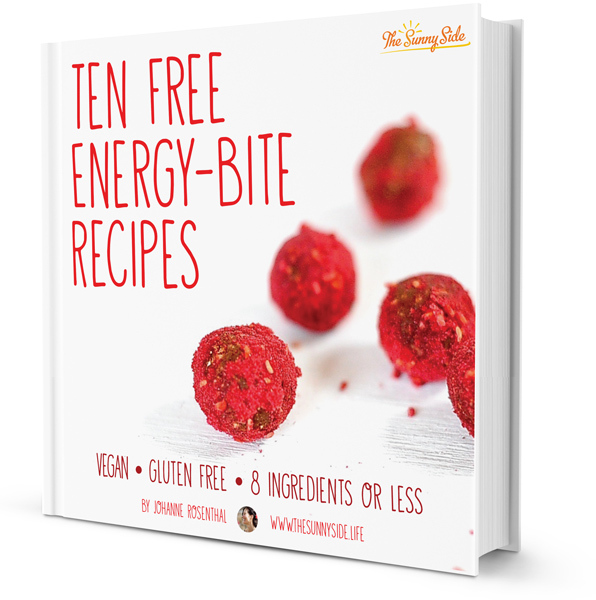 Keep soaked nuts in your freezer and you will always be ready to make nut cheeses, smoothies or raw cheesecakes, like my Raspberry Rose Cheesecake. It is a similar process to my Cashew Labneh but I give it a quick bake in a mold, leading to a firmer cheese. On bright white summer mornings and the rain-bruised lavender mornings of winter, my mother would send me to the bakery, to buy the morning loaf. I tripped across the smooth grey stones in my bare feet to the door of the baker. The baker would greet me with a welcoming Καλημέρα (Good Morning) and a pat on my round cheeks and then kneel and expertly tie a hot loaf of bread with twine tying the end of the string to my middle fingers so I could run home with the loaf balanced, like a broken yoyo, from my hand. Once home we would tear into the golden crusty bread, smearing it with what ever we had on hand. My mom loving a combination of marmalade, feta, tomato and red onion. The lapping waves are the rhythm to my day like a mother’s heartbeat. The wind singing through the dark green pines lulls me to sleep. Leaving the island is like stepping out of a warm bath, the world is chill and gravity reasserts itself. Once a great love cut my life in two. at some other place like a snake cut in two. and brought healing to my heart and rest to my eyes. He cannot see the sea, but he knows. When the sun peaks over my garden wall this summer she will spy me smearing this vegan feta cheese on crusty bread still warm from the bakery. 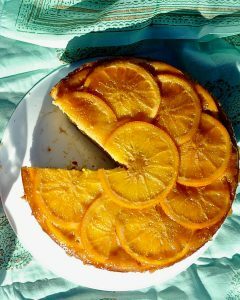 If you are longing for a taste of Greek summer then one bite of this Orange Upside-Down Semolina Cake will scratch that itch. Each rich forkful is a play between burnt sugar, orange marmalade, and soothing vanilla. I used this loaf pan but any will work. I never knew what a difference a good quality bread pan make. I splurged on this one and couldn’t be happier. I use this for loaf breads including my banana bread which Never sticks in this pan. This pan is also the one I use when making my incredible Smokey Maple Seitan Bacon. 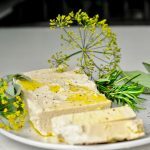 A tangy marinated vegan feta cheese that works fabulously spread on sandwiches or cubed in salads. Soak your almonds in the water for 6 hours or overnight. Drain your almonds and place the almonds in your blender with two cups of fresh water and puree until absolutely smooth. Heat the almond mixture in a sauce pan stirring often and being sure not to burn. You want the almond mixture to be very hot to the touch but not boiling. Make sure the almond mixture is around 85°C or 185°F when you add the acids (vinegar/lemon juice). In a large shallow bowl place the lemon juice, vinegar and salt. Pour your hot almond mixture into the bowl. Give it a good stir and leave it untouched in the bowl on the counter for 30 minutes. Line a sieve with cheese cloth or a clean unbleached white t-shirt and place it over a bowl to catch the whey. Pour the curdled almond mixture into the sieve and allow the whey to drip away into the bowl below. After about an hour pour out the whey and replace the bowl beneath.Fold the cloth over the top of the "cheese" and weigh down with a small plate and a can of beans to press on the "cheese" and release more water. Allow to sit for three hours, pressing now and again on the weight to release more liquid. Line a small loaf pan or ramekin with foil and heat your oven to 200 Fahrenheit. Place the cheese into a small bowl and add the miso, garlic, nutritional yeast and lactic acid if using. The lactic acid adds more sour tang to the final product. Stir well and blend with an immersion blender till smooth. Now taste and let your palate be the guide to adding more flavor. Stop. I just want to reiterate that your own palate should be your guide. I don't want to hear that it wasn't salty, funky tangy, or sour enough. This is your moment. ADD more lactic acid, or lemon juice, if you want more sourness. More Nutritional yeast if you want more cheesy-ness. More salt if you crave more saltiness. More MISO if you want it funkier. Scoop into the prepared tin foil lined loaf pan pressing down on the "feta" and smooth the top. Bake for 40 minutes in the center of your oven until dried out and firm enough to hold it's shape. Again this is your moment. Every oven is different, your pan might be different dimensions then mine, and your memory of the firmness you want your feta to be is different. Test the firmness with your finger and if it is too soft, bake it for longer. Remove from the oven. Allow to cool. 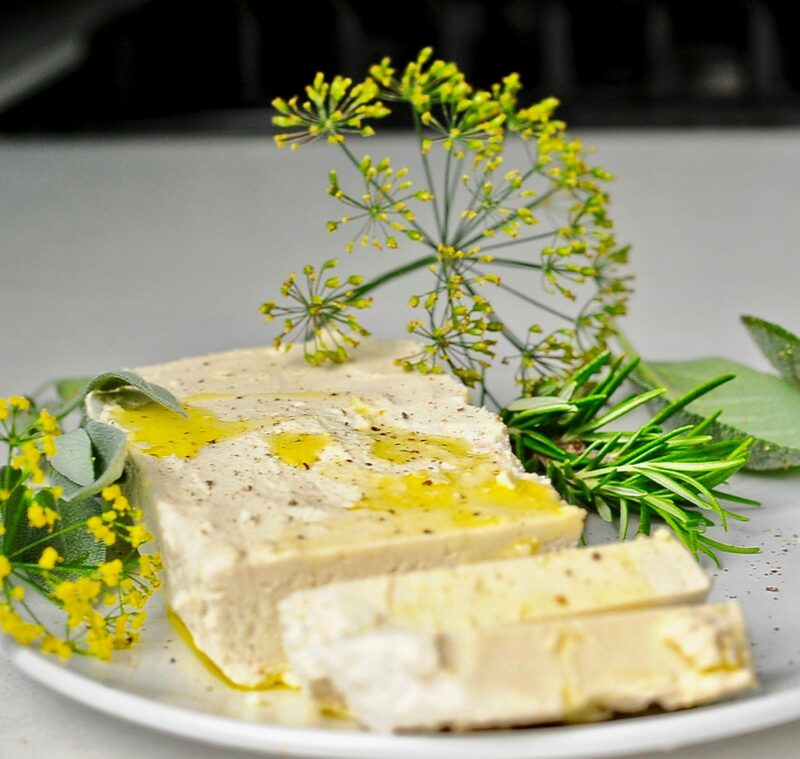 Remove from foil and serve with herbed marinade or better yet remove the Almond Feta from the foil and place into a container and pour the marinade over. Refrigerate and use as needed for salads. This will make more marinade then you need for this purpose. The extra is wonderful in salads or tossed with freshly boiled potatoes. Divine. Whisk all of the marinade ingredients together until emulsified. Curious about freezing the soaked nuts. Do you freeze in the soaking water or drain and freeze? This sounds like a real time saver – I hate the wait when I decide to make something that needs them soaked. Hi Nancy, I soak them over night, drain, rinse and freeze them right away, in 1 cup increments. Thank you for stopping by. What quantity of almond meal and water would I use please. Oh I’m sorry I have no idea. I’ve never tried to replace almond meal with soaked almonds. Let me know if you decide to experiment. From what I found when searching for ground versus whole, it would seem that you would need slightly less by weight and volume of the ground ones. 7/8 cup ground for 1 cup whole blanched. Great. Thank you for you help! Yes raw almonds. Did I not write that? Silly me. I’ll change that now. LOL. I haven’t tried the recipe but love your writing. Kept wishing I was about to start my next book. Dawn, thank you! ❤️I’m so glad you visited. Do you write books? This sounds yummy! About how long does it last in the the refrigerator? A week is the longest we’ve managed to not finish the feta but I imagine it would last a week and a half at least. I didn’t really get the texture that yours seem to have, based on the pictures, and now I’m wondering where I went wrong. The liquid mix didn’t really curdle but I thought that might be normal for almond cheese so proceeded anyway. (The strained liquid (very whitish) I put in the fridge for possible later use, and there it had curdled some hours later which makes me think I should perhaps have left it longer or used more acid?) I also don’t know if perhaps your mixer blends the nuts more thoroughly. My cheese turned out very crumbly, not so much in a fetalike way and more in the regular almond way. Next time I think I’ll try combining almond flour and tofu and see where that takes me – thanks for the inspiration! HI Be, I’m sorry the feta didn’t end up with the desired textured. A little trouble shooting on my end: if the almonds weren’t completely blended and smooth the texture will not be as creamy and feta like. Also you might be right that more acid was needed the the acidity in lemons varies and therefore your might not have been as high in acidity and ability to curdle. If the almond mixture was heated too high it would not have been able curdle. Make sure the almond mixture is around 85°C or 185°F when you add the acid. Also do not disturb it once you have given it a good stir to incorporate the acid. I jumping with joy that you liked it! See me over here? Jump, jump jump. Have a lovely week. Thank you so much for sharing! I got a bit rushed and didn’t drain it for long enough I think because it never really set as firm as yours, but regardless the taste is AMAZING! It’s going to be awesome on my salad tomorrow! Thank you so much for an awesome recipe. Wonderful.I’m glad you loved the flavor. 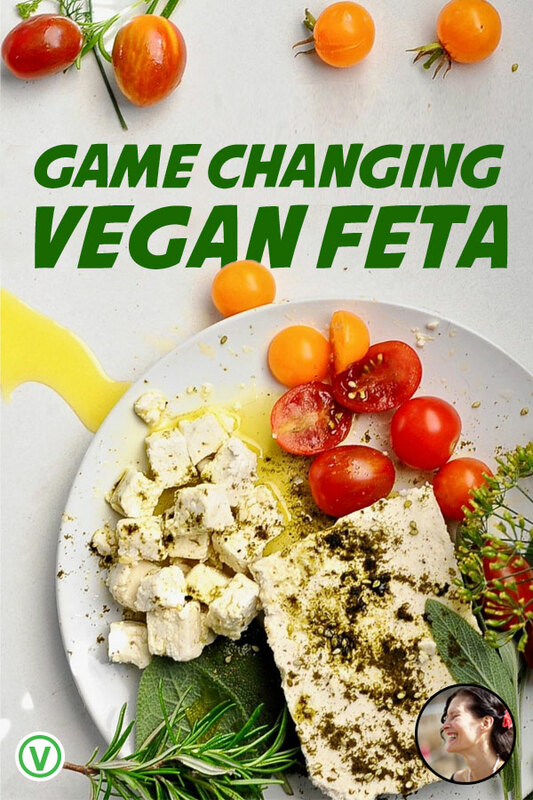 Miso in vegan feta cheese sounds very interesting! Thanks for this recipe! The miso helps bring a certain funkiness of flavor to the feta a little like goat milk. I adore your blog btw. Vivid, charming, inspiring. Wow! This looks so good! I will definitely try it! Sarah, I hope you are as happy with it as I am. Merry Holidays! Hi, I’m just making this recipe at the moment- yours looks sooo good. Eggs and cheese are the two foods I miss since going vegan. I’ve just heated my mixture and put it with lemon juice and acv but it looks very runny and I’m afraid when I put it through the cheesecloth and siv it will all fall through. Also, I’ve put a 30 billion probiotic capsule in the mix sub for lactic acid. Do you think this will work? I haven’t used probiotics in this recipe so I’m not sure what to tell you. My mother in law makes great cheese with them though. If you pour it gently into the cheesecloth it should hold. Did the milk curdle at all? If not then the milk was at too high a temperature. Please let me know how it is going. Hi! I just tried this today! So far so good. I ended up adding the nutritional yeast and miso before the part to strain out the whey. I am going to continue to strain it overnight to get those last whey particles out, but so far the taste is great! Thanks so so much. My first attempt at almond feta was a disaster, but I used store bought almond milk (lesson learned). I am also trying another recipe that uses a fermentation process that is currently chilling out on the counter for a couple of days, but so far I much prefer the taste of your recipe. Hi, can you leave the yeast out of this recipe or replace it with something else? 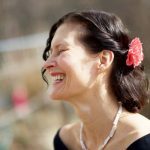 I’m on an anti – candida diet. HI! Has anyone tried this recipe with cashews? 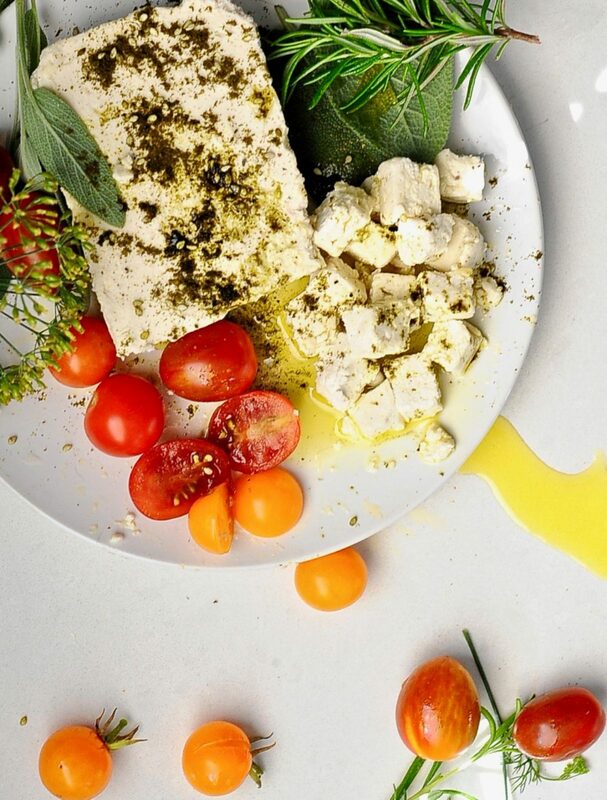 I had a cashew feta from the healthfood store this week and it was amazing – trying to replicate it and this recipe looks like a good place to start! Hi Deb, yes I have cashews with this recipe and it is yummy. It is silkier then with almonds but also not as firm. I hope this helps. You say that the mixture needs to be 85•c if adding the lactic acid and then further down the method you say to add in the lactic acid after straining it which means she mixture has been off the heat for over 4 hours and at a very cool temperature ?? Hi Vicky, The acid that I am referring to is the lemon juice and vinegar that curdles the heated “milk”. The recipe says to add the lactic acid after the heating process. That is correct. Happy cheese making! Glad to have found your recipe online and thank you. 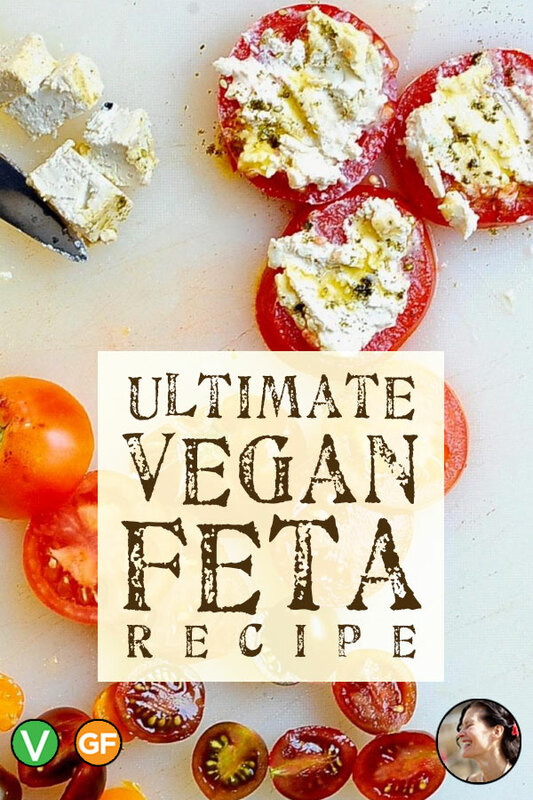 Im trying to make vegan feta for the first time but I really want it to be a fermented feta cheese. I’ve been doing fermented cashew nut cheese spread for the past month and leave it to ferment for 48 to 72 hrs and use probiotics, coconut kefir or miso to kick the fermentation. Would you recomend a new step for getting this recipe to ferment, get that fermentation bitterness and not have to bake it, as I feel that baking it would probably kill the good bacteria? Could it be placed in a cheesecloth in the fridge to dry out moisture? And how long would I need to leave it before it can be hard enough to cut and add into olive oil? I’ve read about adding agar powder, any thoughts about this? Great questions. If you have a dehydrator you could speed the drying process and not kill the good bacteria, or perhaps an oven turned to a very low setting. Please let me know how it goes. Your other cheese sound yummy and healthy. I’m glad you loved it!!!! t wait to experiment with it. AM PLANNING ON TRYING THIS YUMMY RECIPE,JUST WONDERING IF LACTIC ACID IS NOT AVAILABLE IN MUMBAI – INDIA CAN I OMIT IT IN THE RECIPE, WOULD IT ALTER THE CHEESE ? You can absolutely skip the lactic acid. Enjoy! Hi Johanne, the feta looks great. What size pan or ramekin should I be using for this recipe? HI guy, I used a loaf pan. I just added a link to it on the blog post. The dimensions are 8.5 x 4.5 x 2.8 inches. Have you tried to add a tiny bit agar-agar powder? I’m going to try that next to see if it firms a bit more.